For less than 30 cents per day, your photos can roam the vast, endless Amazon cloud, unhindered by compression and capacity limitation. There might finally be a competitor for the Dropbox Mobile Upload feature I've been using for years, and it's coming from our eCommerce overlords over at Amazon. 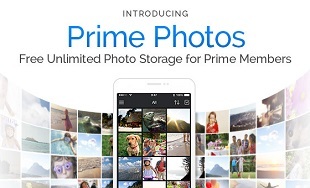 You can now add unlimited photo storage to the ever-growing list of benefits reserved for Amazon Prime members, which means the infinity billion selfies and dog-walking photos you have on your smartphone of choice have a potential new home in the cloud. The new Prime perk, dubbed Amazon Prime Photos, is an add-on to Amazon's existing Cloud Drive service, which typically comes with 5 GB of cloud real estate right off the bat. That 5 GB figure will be unchanged by your digital artwork, however, as any photos uploaded to Cloud Drive will not tax your free or paid storage options. Like Dropbox, Amazon Cloud Drive is near-universal (supported on Windows, OS X, Android, iOS, etc.) and the service has a host of apps to use for uploading and file management. Support extends to Amazon's own line of devices (Fire tablets, phones, etc. ), naturally, which means you can view photos on your TV via a Fire TV or Fire TV stick. Uploaded photos are left untouched, too, so there's no compression to worry about if you're backing up photos at their original resolutions. There's even RAW file support if you're uploading professional/prosumer DSLR photos. Amazon Prime is $99 per year, and includes other perks like free two-day shipping on anything originating from an Amazon warehouse, free Amazon TV shows, and a growing selection of free streaming MP3s.